The Gospel According to Bach at Cresheim Valley Church! 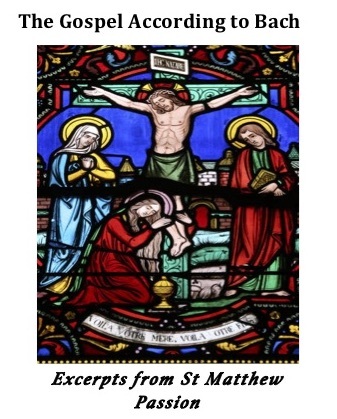 Readings from Matthew’s Gospel and selected arias and chorales performed by Tom Elliott, trombone, Cheryl Elliott and Dottie Free, violins, Nina Cottman, viola, Richard Amoroso, cello, Douglas Mapp, double bass, and Scott Anthony, organ, with Daniel Deacon, Evangelist. Good Friday, April 19, at 7PM in the Epiphany Chapel at Chestnut Hill Academy.